THIS IS A SALE ITEM. BEADS MAY VARY FROM THE PICTURE. 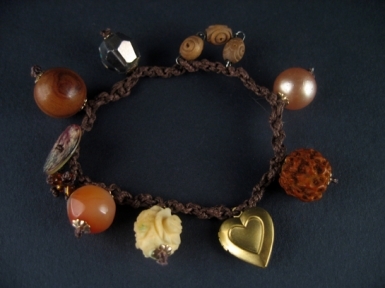 Vintage brass heart locket and beads woven into brown linen thread and finished off with button and loop fastening. Comes in it's own fur -lined, black and gold embossed box for ultimate desirability.